We’ve pulled together 10 little to unknown gems from our quirky little creative world that may surprise and possibly send you down memory lane. So fasten your super-hero belt (the one with your favorite bee in it) and don’t mistake Peter Parker as Sheep-Boy, because we’re about to drop some crazy comic book knowledge on you. #10. Is That A Bee In Your Belt Or Are You Just Happy To See Me? The 1940’s comic book superhero called Red Bee fought the Nazis using trained bees. His favorite bee was named Michael and lived in Red Bee’s belt buckle. He first appeared in Hit Comics #1, published in July 1940 by Quality Comics. Later on, DC Comics acquired the character in 1956. #9. Is There Room For One More? 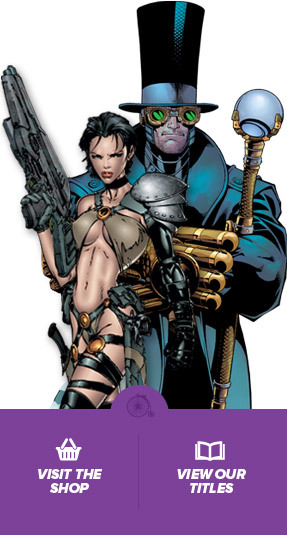 Deadpool #27 set the Guinness World Record for the most number of characters in a comic book cover (232, of which 224 deemed famous enough by Guinness World Records). There are however at least a few other covers with more characters, like the Crisis on Infinite Earths’ one. Black Panther (T’Challa) was the first black modern superhero created in mainstream comics, making his debut in 1966 when the Fantastic Four went on a mission to Wakanda. T’Challa was the first biological son of T’Chaka, King of the African Nation of Wakanda and also ended up King himself. The inspirations for the character were the Civil Rights Movement and the Black Panther Party. T’Challa is one of the eight smartest people in the Marvel Universe. In 1997, Marvel released an alternate reality, where a radioactive sheep once bit Peter Parker of Earth 9792, turning him into a grass-loving hero named Sheep-Boy. Could you guess who the infamous Sheep Boy’s arch nemesis was? His name was The Wolf. This American comic book series – which first introduced Superman to the world – made its debut in April 1938. This comic is popularly known as the holy grail of comic book collectibles. This 1938 issue was the first comic book to feature a superhero of any kind – his name was Superman. #5. Who Really Owns The Largest Comic Book Collection? The world’s largest publicly available comic book collection belongs to the Library of Congress. They currently hold over 100,000 individual issues. Among those are some very rare comics; includes color microfiche of selected early comic book titles like Superman, More Fun, Action Comics and special reprints. #4. It’s Not Easy Being The Incredible Hulk And… Gray? 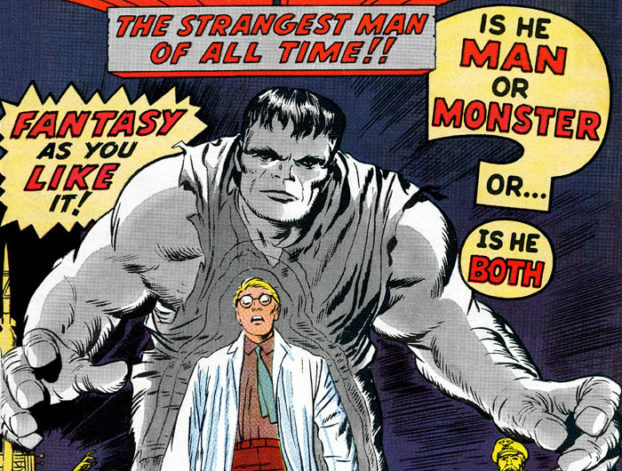 The Hulk was originally gray when first debuted in 1963, but Marvel changed him to green due to the fact that the printer couldn’t provide a consistent gray color, the Hulk would change from gray to black to other shades of gray from page to page and panel to panel. In order to address the issue, Stan Lee choose to go with a color that would come off the printing press with fewer issues: the now-iconic green. In the 1988–89 story arc “A Death in the Family”, was written at the height of tensions between the United States and Iran, the story’s conclusion had Iranian leader Ayatollah Khomeini appoint the Joker his country’s ambassador to the United Nations (allowing him to temporarily escape justice). Marvel Comics founder Martin Goodman and his lovely new bride were supposed to be honeymooning on the Hindenburg on the day the ship famously crashed. They changed their travel plans at the last minute due to the only available seats left not being up to Goodman’s satisfaction, his wife and he decided to fly by plane instead. Quite fortuitous, wouldn’t you agree? Michael Jackson looked into—and almost succeeded—in buying Marvel Comics in the late ’90s because he wanted to play Spider-Man and Professor Xavier in the first X-Men movie. In the late ’90s, the King of Pop, who was a huge comic book fan, met with Stan Lee and Peter Paul of Stan Lee Media to see if he could purchase Marvel Comics, with a view to playing the web-slinger on the big screen.